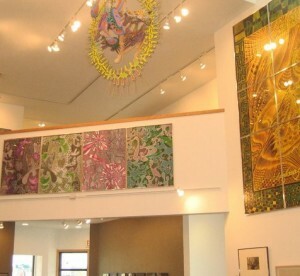 The Stevens Point area has an abundance of gallery spaces that showcase local and regional artists’ eclectic artwork. 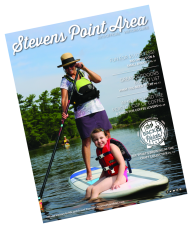 Whether you prefer natural landscapes, modern influences or something in between, there is sure to be a gallery in the Stevens Point area that will cater to your artistic interests. For pieces inspired by the waters of the Great Lakes region, visit the Riverfront Arts Center to view Following Flow, the latest exhibit to make an appearance in this community arts center. Running through June 1, Following Flow showcases poetry, paintings, displays, quilting, and photography inspired by the rich water resources of our region. To observe an art style all its own, check out the Scarabocchio Art Museum. Taking its name from the Italian word for “doodle” in Italian, the Scarabocchio Art Museum displays decorative, non-objective art alongside seasonal exhibits. The current featured exhibit is The Rhythm of Water by artist Ann Singsaas, whichruns through June 26. Ann’s artistic style focuses on works of oil and watercolor, and pieces in her exhibit will have a unifying water motif. 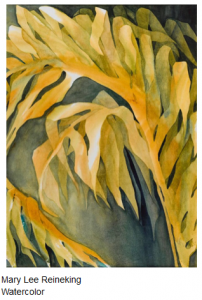 If watercolors spark your interest, stop by Q Gallery in downtown Stevens Point to view Mary Lee Reineking and Friends. Watercolor pieces from more than 10 local artists will be on display through June 27. Check out this collaborative watercolor exhibit and gain perspective on how local artists are inspired by one another to create signature, attention-grabbing pieces. To view works inspired by books, reading, and printing, stop by the Carlsten Art Gallery, located in the Noel Fine Arts Center on the UW-Stevens Point campus. Now through June 9, view My Aesthetic Confession to see Brian Borchardt artistically depict his passion for literature and typography. For artwork, handmade goods, locally produced crafts, and more, venture out to Tomorrow River Gallery and Gifts in Amherst. This community gallery and gift shop is home of the Hidden Studio Art Tour, which takes place each fall. 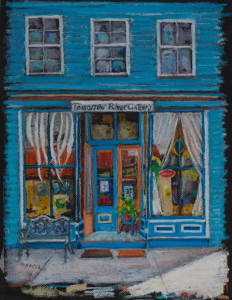 Visit Tomorrow River Gallery and Gifts during their inventory reduction sale this May and come home with a high-end piece of artwork for a fraction of the original selling price. Broaden your knowledge of regional artists, celebrate the arts, and take in the natural beauty of the Stevens Point area by stopping at one of the many local art galleries.